Shown with white frame and blue/purple upholstery. 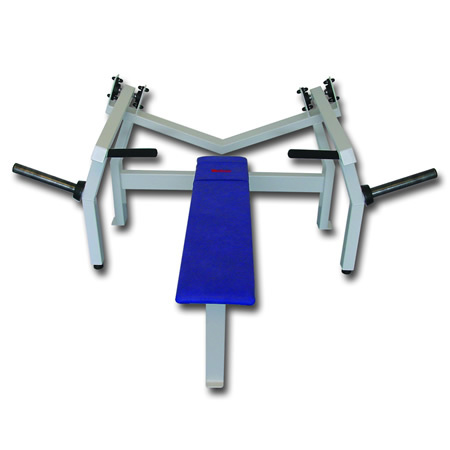 GymRatZ Commercial Gym Equipment - Iso Bench Press Station. An unusuall item for a gym as you only normally see olympic benches for benching and seated selectorised resistance machines for chest press. This super heavy duty Iso Bench Press Station provides comfortable movement for lifting really heavy poundages. The upholstery's thick and durable and framework's constructed from heavy gauge steel.